1. Improves conception rates with increased number of lambs per ewe. 2. Shortens the lambing period. 3. Aids in the reduction of stillbirths with greater number of healthier, stronger lambs born. 4. Inclusion of prebiotics to enhance the immune system to protect against bacterial and infectious microorganisms. 5. Improves health status of both ewe and lamb. 7. Ideal for ewes and hoggets, pre-tupping and pre-lambing in pedigree and commercial flocks. 8. Available in 5lt, 2.5lt and 1lt simcro packs with back strap included. 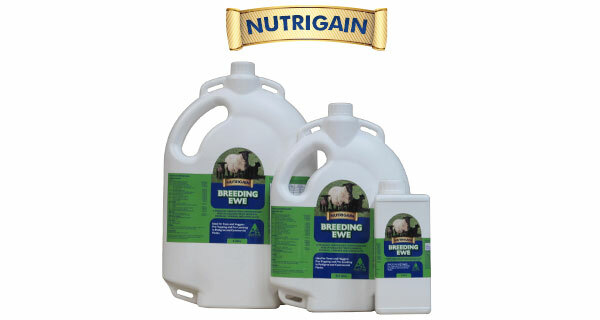 To download NUTRIGAIN BREEDING EWE product information, click here.